The Buster is a portable mini-UAV built by Mission Technologies Inc. (also known as MiTex). The UAV, which features a unique twin-wing arrangement (a trademark of MiTex designs), is launched with a small catapult and recovered by parachute. It has a payload capacity of 1.4 kg (3 lb) for EO/IR (Electro-Optical/Infrared) type surveillance equipment. 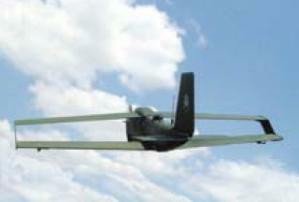 In August 2003, the U.S. Army ordered the first Buster UAVs from Mission Technologies. Since then, the Army has purchased a total of 9 Buster systems with four air vehicles each. They are used by the U.S. Army Night Vision Laboratories as mini-UAV sensor testbeds.